You're sure to stand out in this bright pink solid pinpoint from Cinch. The shirt is made with quality pinpoint cotton and features a square button front with embroidered Cinch logo. 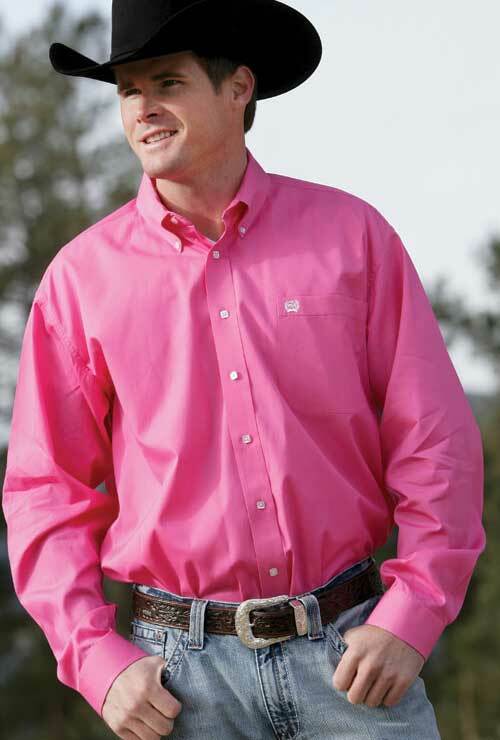 Solid shirts are ideal for casual wear, going out riding, and are also a perfect option for the western show ring! 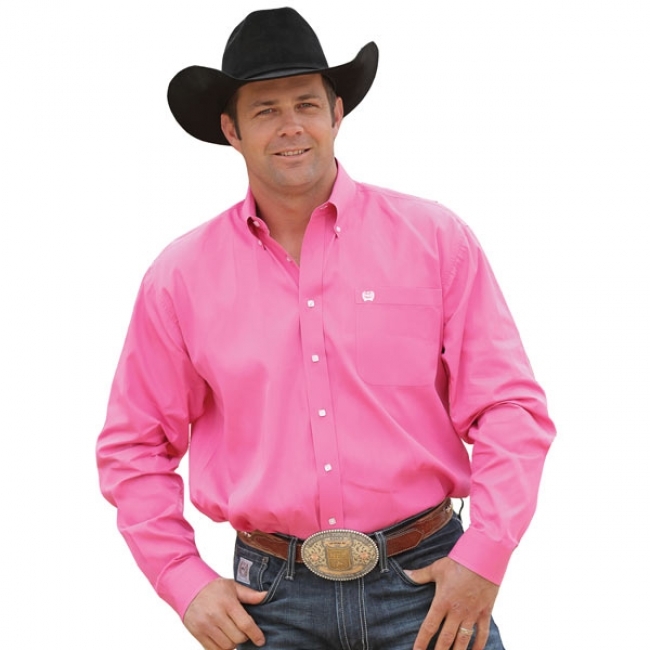 Real cowboys aren't afraid to wear pink. Outfit your entire crew in this timeless solid Cinch shirt. We also carry the Cinch and Cruel Girl Pink Pinpoints for women and children! Traditional long sleeve button down design. Also available for women, boys and girls.